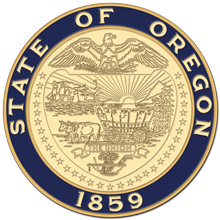 Salem, OR—Governor Kate Brown today ordered all flags at Oregon public institutions to be flown at half-staff on Wednesday, March 6, when members of the public and state government will honor the life of Oregon's 26th Secretary of State Dennis Richardson at the State Capitol in Salem. Flags should be lowered to half-staff from sunrise to sunset that day. "Our hearts are with Secretary of State Richardson's family, friends, and fellow lawmakers," said Governor Brown. "Regardless of what side of the aisle his colleagues sat on, we all knew Dennis' kind heart guided his career of service to the people of Oregon. His reputation for perseverance not only guided him through the fight with cancer, it also gave us all reassurance that he was fighting cancer with the same determination he brought to work every day." The service will take place at 2:00 PM. Secretary Richardson’s body will lie in state in the Capitol Rotunda starting at 9:00 AM to allow members of the public to pay their respects.